Families with children, or unaccompanied youth between the ages of 18 and 24 years old can go to the Southwest Solutions Housing Resource Center on Porter Street. Single adults can go to the NSO Tumaini Center on 3rd Avenue or to the NOAH Project on East Adams Avenue. Veterans can go to the Healthcare for Homeless Veterans (HCHV) at 4646 John R. Street on the 2nd Floor, Red Section or to the Veterans Community Resource & Referral Center (VCRRC) at 301 Piquette Street. Off-hours locations include Cass Community Social Services on Webb Street and Detroit Rescue Mission Ministries. For more information visit the City of Detroit’s website. 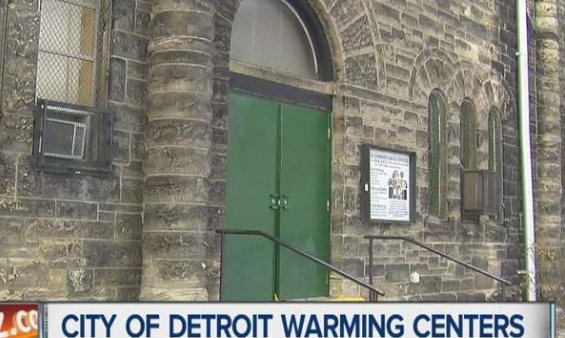 Click on Source for addresses, open hours and phone numbers: Warming centers offer safe place for Detroit residents during extreme cold.